April was appointed Political and Strategic Campaign Director in November 2017 and works to develop shared agendas with labor and community partners, to advance strategic organizing campaigns (raising wages, naturalization, revenue reform, etc. ), and to recruit, train and elect political champions for working people. She first joined the WSLC in September 2015 as Field Mobilization Director, working with WSLC-affiliated unions and community partners to support and encourage the participation of individual members with many different political, legislative and community programs. 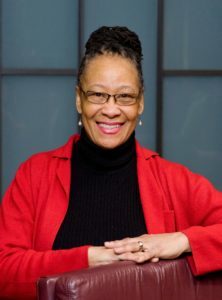 Prior to that, Sims served as the Legislative and Political Action Field Coordinator for the Washington Federation of State Employees, AFSCME Council 28 (WFSE), where she was responsible for member education, communication, and mobilization around legislative issues and political campaigns. She was a WFSE member, shop steward, elected union officer, and union staffer from 2002-15. A native of gritty Tacoma, April lives with her husband, two daughters, and 100-pound chocolate lab. When she’s not thinking about politics or advocating for working families, she’s defending her title as family Scrabble champ. 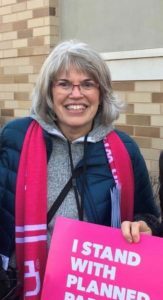 Connie Lewis recently retired from 12 years as Executive Vice President of External Affairs for Planned Parenthood of Minnesota, North Dakota, South Dakota. Her responsibilities included leading the electoral and policy work along with communications, marketing and education for Planned Parenthood in the three state region. Prior to her time at Wellstone Action, she worked for 12 years for Senator Paul Wellstone and directed his Minnesota Senate office during his second term. Lewis worked to establish Wellstone Action after the tragic death of Senator Wellstone and serves on its board of directors. She’s also served as Deputy Commissioner of the Minnesota Department of Energy and Economic Development and managed a U. S. Senate and Congressional campaign. Connie lives in St. Paul, MN with her husband and has 2 adult children. Dave Montez is Director of the New American Majority Fund. 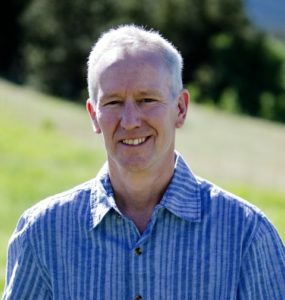 Prior to joining the Democracy Alliance, he was the Executive Director of One Colorado, the state’s only LGBTQ advocacy organization. Under his leadership, One Colorado saw phenomenal success from helping to bring the freedom to marry to Colorado to defeating anti-transgender bathroom bills and religious exemptions legislation. Prior to joining the One Colorado team, Montez served as the acting president of GLAAD. During his tenure there – where he also served as Chief of Staff – the organization made its final push to lift the Boy Scouts’ ban on openly gay youth. He also helped develop a coordinated strategy within the LGBTQ movement in support of immigration reform. Montez also worked for five years as a senior program officer at the Gill Foundation, one of the nation’s leading funders of LGBTQ equal rights work. While there, he focused on comprehensive advocacy campaigns to achieve policy change at the state level. He also spearheaded the foundation’s Latino Initiative, which has built support among Latinos for marriage equality, nondiscrimination, and safe schools, as well as encouraging many LGBT organizations to advocate for immigration reform. Jeff Blodgett is the Board Chair of WIN Minnesota, an independent political donor table that works to keep Minnesota moving in a progressive direction. He has worked in Minnesota and national politics and public life for 34 years. In 2012 he served as State Director for the Obama campaign in Minnesota, a position he also held in 2008. In 2003, Jeff founded and and led Wellstone Action for seven years.. He spent 13 years as a senior aide, advisor and campaign manager to the late U.S. Senator Paul Wellstone, running all three of his election campaigns, including the hard-fought 2002 race cut short by tragedy 12 days before Election Day. He has a B.A. from Carleton College and a Masters of Public Administration from Harvard’s Kennedy School of Government. He is also on the faculty of the Masters of Advocacy and Political Leadership program at the University of Minnesota Duluth. He has co-written two books: Politics the Wellstone Way and Winning Your Election the Wellstone Way. Leah has 19 years non-profit and public sector HR and finance experience, including six years at TakeAction Minnesota and 3 years at the Center for Popular Democracy, a national network of progressive organizations. At CPD Leah co-directed the organization’s training program and worked 1:1 with CPD affiliates to build their organizational strength. Leah graduated from Lawrence University with a BA in History and a BA in Government and lives in Washington DC. Marcia Avner, Principal, Avner Consulting, works with nonprofit organizations, foundations, unions and local governments to advance progressive issues and strengthen advocacy capacity. Clients work with Avner Advocacy on strategic planning, advocacy training and policy campaign design, and other organizational development issues. From 1996-2011 Avner was the Public Policy Director with the Minnesota Council of Nonprofits, a statewide association of over 2000 nonprofits. Prior to that she served as State Communications Director for U.S. Senator Paul Wellstone. She was Deputy Mayor of St.Paul, MN. And she served as the Executive Director of The Minnesota Project and the Legislative Director of the MN Public Interest Research Group. Her work in Minnesota and nationwide is dedicated to strengthening civic engagement and advancing nonprofit and community involvement in shaping public policy. Avner is committed to building the field of advocacy, to strengthening the will and capacity of nonprofits to engage in mission related advocacy, and to increasing grassroots civic engagement. Avner serves on the boards of the Bauman Foundation, Wellstone Action! and the Wellstone Action Fund, and Friends of the Mississippi River. She co-chairs the Funders Census Initiative at the Funders Committee for Civic Participation and serves on the Policy Committee of the Center for Victims of Torture. Mary Lofy’s professional life includes both the public and private sectors. 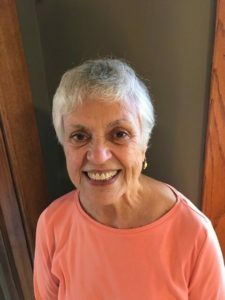 Mary served as an elected member of the Mankato, MN City Council for eight years, 1980-1988, chaired the Housing and Redevelopment Authority, and served on Police Civil Service Commission. In the non-profit sector, Mary served as chair of The Minnesota Project, which tackled economic and environmental problems in the state’s rural communities, the American Bar Assn. District Ethics Commission, as well as other advisory councils for local and state government. Mary was appointed to the Governor’s Task Force on Gay and Lesbians formed by Governor Rudy Perpich in 1990. In 1992, Governor Arne Carlson appointed a second Governor’s Task Force on Gay and Lesbian Minnesotans to which she was also appointed. Since 1989, Mary has been a partner in Lofy Associates with her husband, Chuck. Working alone or together, the Lofys helped organizations and businesses to revitalize themselves by dealing constructively with the challenges of change. In 2004, Mary joined the board of Wellstone Action, devoted to carrying on the legacy of Senator Paul Wellstone and his wife and partner, Sheila Wellstone. Mary worked “in the trenches” on Paul’s senatorial campaigns in 1990,1996, and 2002, & often accompanied Sheila on her visits to women’s shelters, to speeches she gave, in her work to combat domestic violence, and later, in her work on human trafficking. Mary holds a PhD in Human and Organizational Systems and an MA in Organizational Development from Fielding Graduate University in Santa Barbara, CA. She has a BA in English from Dominican College, Houston, TX. She resides in Ann Arbor, Michigan, with her husband Chuck Lofy; they enjoy their 3 children and spouses and 6 grandchildren. Rudy López is from a small steel town called East Chicago, Indiana. His father was a migrant farm worker who then worked for 40 years in a steel mill. Rudy’s mother, an immigrant from México, was instrumental in shaping his faith which is one of the reasons he has dedicated his career to the intersection of social justice and faith by developing leaders and building power in disenfranchised communities. Rudy developed his organizing skills in the neighborhoods of Pilsen and Little Village in Chicago working as a community organizer with Gamaliel. He used his experience to focus on the passage of comprehensive immigration reform for many years and was a core faster for Fast4Families and toured the country lifting up the urgency to fix our broken immigration system. Rudy has served as Executive Director for Interfaith Worker Justice (2015-2016), Political Director of the Center of Community Change (2007-2013), National Field Director for Wellstone Action (2005-2007) and the U.S. Hispanic Leadership Institute (2000-2005). 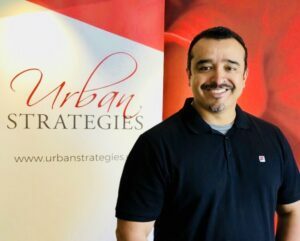 He currently is the Director of Organizational and Community Outreach of Urban Strategies, and organization dedicated to improving the health, educational, social, and economic condition of our marginalized populations. 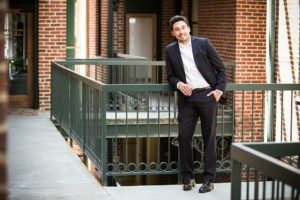 Rudy now lives in Los Angeles where he moved in 2016 to join his bride. He attends Sacred Heart Church in the Lincoln Heights neighborhood of LA. 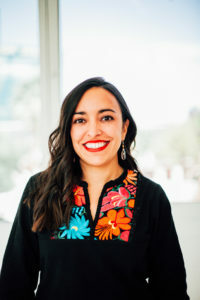 Sarah Audelo is the Executive Director of the Alliance for Youth Action, the nation’s largest youth grassroots organizing network in the country. An organization that is “of young people, by young people, for all people,” the Alliance works to build political power with young people across the United States. Sarah’s passion is centering and uplifting young folks, and particularly young folks of color, in progressive movements and institutions. Before joining the Alliance, Sarah served as Hillary Clinton’s Millennial Vote Director in the 2016 election. She has experience as an organizer and advocate for the Millennial generation, working on economic justice, reproductive rights, LGBTQ rights, civic engagement, and more at organizations including Advocates for Youth and Generation Progress. After graduating from Georgetown University, Sarah was a special education teacher with Teach for America in the Rio Grande Valley. She is originally from Bakersfield, California and lives in Northeast Washington, DC. 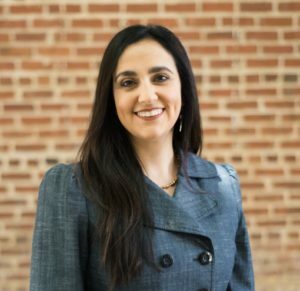 Sara Totonchi is the Executive Director of the Southern Center for Human Rights (SCHR), a nonprofit law firm that is working in the Deep South to end mass incarceration, the death penalty, and the criminalization of poverty. 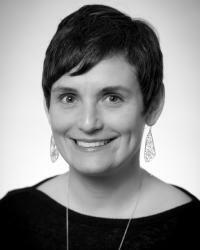 Sara joined SCHR in 2001 as the Public Policy Director and became Executive Director in 2010. Sara led coalition efforts and legislative advocacy to establish Georgia’s statewide public defender system and enact criminal justice reforms. As Executive Director, Sara leads SCHR in carrying out its mission to dramatically transform the criminal justice system. Sara has been recognized for her work by several publications, including being named by Atlanta Magazine as one of “Five of the Future” leaders of Atlanta. Sara and her family immigrated to the United States when she was a child. Elected by the voters of District 4 in March 2005, Commissioner Toni Carter has lead on important issues at the local, state, and national level. She is active in the Association of Minnesota Counties (AMC), serving on the board of directors and previously serving as president. She is a member of the board of directors of the National Association of Counties (NACo) and serves as chair of NACo’s Healthy Counties Initiative. She is co-chair of the Minnesota Human Services Performance Council and the Ramsey County Juvenile Detention Alternatives Initiative Stakeholder Committee. Commissioner Carter also serves as the chief local elected official on the Ramsey County Workforce Investment Board. Committed to the delivery of efficient and effective county services, eliminating disparities in county services and systems, and raising grassroots awareness of county decision-making processes and systems. Carmen Berkley is an award-winning political strategist, entrepreneur, radio personality and trainer striving to change the world through social impact and culture. Carmen has focused her career on intersecting the issues of communities of color and women into initiatives and programs that have improved the lives of millions of people. She currently serves as the Managing Director for the Planned Parenthood Action Fund, where she manages the day to day operations for the Organizing and Electoral Campaigns Department. Carmen is also a co-host and producer for one of the nation’s longest running women’s radio show, Sophie’s Parlor on WPFW 89.3 FM and she also co-hosts Melody Divas on WOWD. She serves as founder and co-founder of the social impact groups CB Strategies and Can’t Stop! Won’t Stop! Consulting, where she develops strategic plans, equity strategies and trainings for businesses and non-profit organizations. Carmen lends her talent as an adjunct trainer for political campaign experts re:power (formerly Wellstone Action) and Midwest Academy. 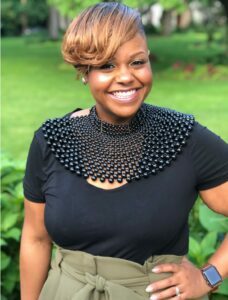 Named Essence Magazines Woke 100, and Washington Life Magazines top 40 under 40, Carmen has been recognized many times for her work by her peers in the movement. She currently serves as a board member for re:Power, Advocates for Youth and Fair Elections Center, and she is a founding member of BYP100. She’s lives in Maryland with her singer, songwriter, producer and husband, Lee Anderson.